If followed my comments on Food24 you would have picked up very quickly that I am not a fan or pre-made, pre-cooked, pre-packaged foods and sauces. In fact that's putting it mildly. I hate those things. I feel very strongly that taking a piece of chicken, mixing some pre-made mushroom sauce with some milk, drowning the chicken in that and popping in the oven, is not cooking and definitely not blog-worthy cooking. So I have taught myself to make a lot of things that people just buy. For example "sweet chili sauce". 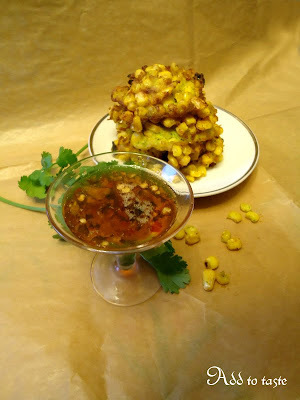 I scoured the web for recipes, threw out the ones that had corn flour in them (after all my 1 complaint about store bought stuff is the starchy mouth feel) and came up with my own. I never did blog the recipe as it was in the time when I was fed up with blogging that I had made it that first time. However, one friday afternoon while browsing other food blogs I came across a recipe for butter chicken which had sweet chili sauce in it. For me that's just scandalous, a dish as rich and complex doesn't need sweet chili sauce shoved into it. I mentioned this to Marisa, over at The Creative Pot, and also mentioned that I make my own sweet chili sauce so the though of that fake stuff they sell at the shops glooped into my butter chicken just made me ill. She said I had to blog the recipe so she could steal it, so off I went and cooked up a batch. Now if you are anything like me, you cant cook up a batch of something without tasting it and while you can taste sweet chili sauce with a spoon I decided to make something a little more tasty to go with it. 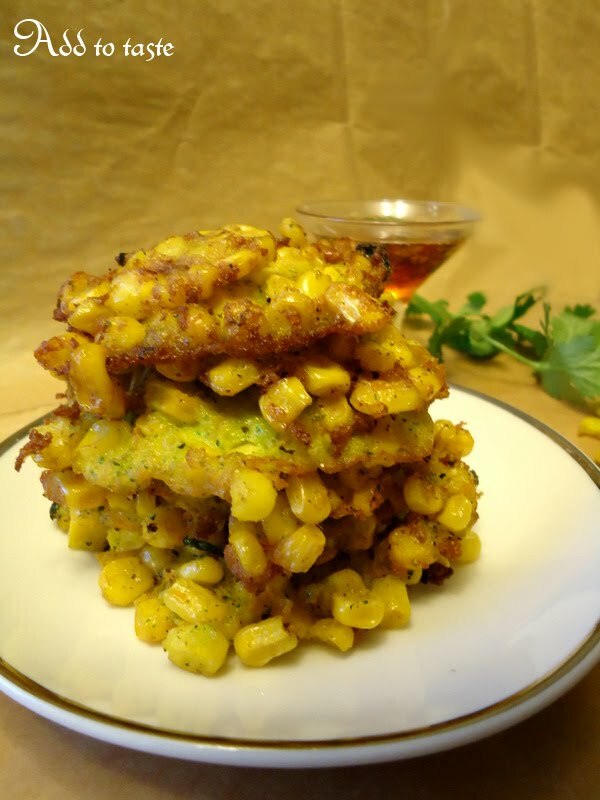 What better accompaniment then sweetcorn fritters. All this cooking came at a great time. 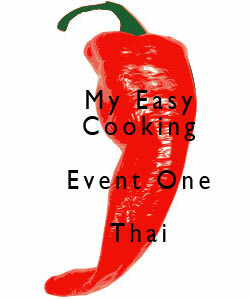 As Nina, over at My Easy Cooking is having her first Blog event. Go check it out and see for yourself. Nina is an outstanding cook and food stylist so I jumped at the chance to participate in something that is linked to her blog. Also I love Thai food and Wang Thai is one of my favourite Thai restaurants. My corn fritter recipe was given to me by some one who used to be the manager there (of course with a few embellishments of my own as I cannot follow a recipe to the T). Put the sugar and vinegar into a saucepan and starting heating it through. Int he meantime pop all the rest of the ingredients into a food processor or blender. You want to get everything as small as possible. If you a milder sweet chili sauce then de-seed your chillies. Put the chili mixture into the saucepan and stir till all the sugar dissolves. Bring the mixture up to the boil and then reduce to a simmer. Allow it to cook for about 35-40 minutes. I used a trick I had learned earlier that day at Oded's Kitchen: put a plate in the freezer, when you think the sauce is ready place some on the plate to test the consistency. Allow the mixture to cool slightly and bottle it. Mix all the ingredients together. Heat up some oil in a frying pan and place spoonful of the mixture into the pan. Fry until golden on both sides. Just a small caution. Both these recipes originally had exact measurements unfortunately I never followed them or copied them. They both are very forgiving and so do what feels right.